1. Click on a product to view more information about the product. If you want to receive more information about this product press the â€œADD TO INFO REQUESTâ€ button. It is possible to add more products to this Info Request List. 2. Go to the Info Request List page by clicking on the â€œINFO REQUEST LISTâ€ button in the top right of the page. Here you will find all the products which you added to request more information about the products. 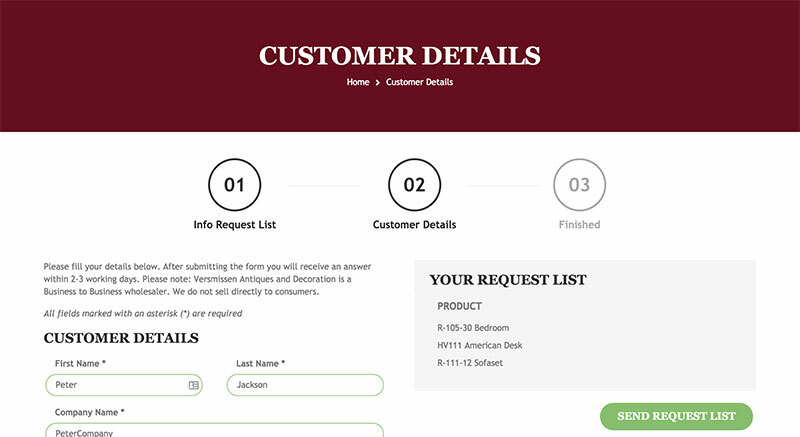 Click to “Proceed to Customer Details” button. 3. Fill the form with all your details. 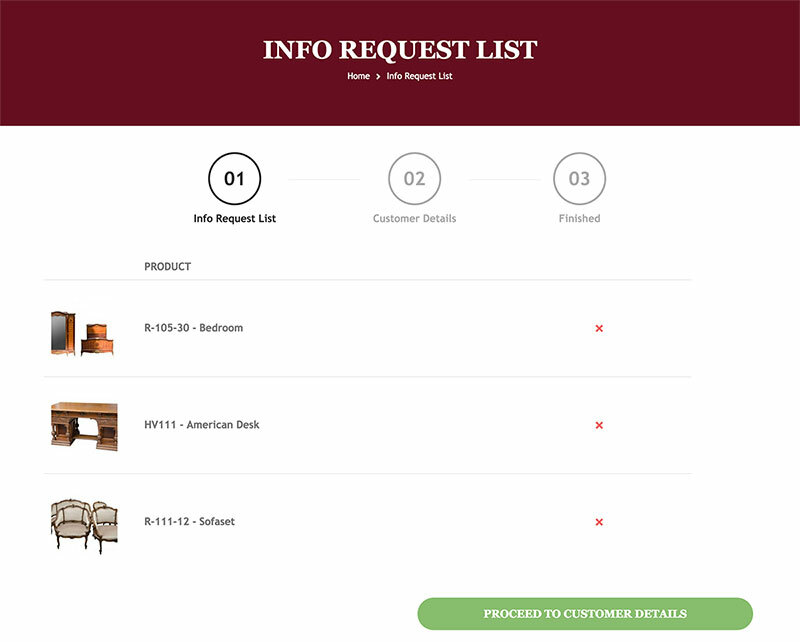 When you are ready, click on the â€œSEND REQUEST LISTâ€ button. Your request will be reviewed and you will receive an answer within two or three working days.